So.. this is done, I’ve got the print version of the publication on Createspace. It will roll out to Amazon and other distributors over the next 6 to 8 weeks, so for the moment it is only available here. $5.50 was the cheapest I could make it with expanded distribution. 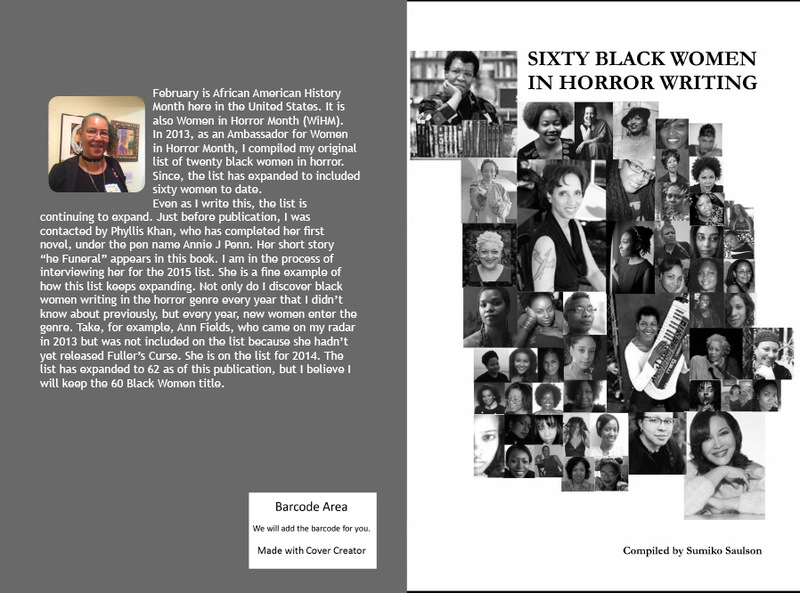 It has expanded distribution, which means it will be made available to bookstores and libraries. The reason I had to set the price this way is because it is based on the lowest profit margin distribution point: in this case, bookstores and libraries, where the profit I make is less than a dollar. It’s about a dollar on Amazon. I get more if you buy it direct from CreateSpace. The paperback version contains the list and interviews. It doesn’t include the short stories or David Watson’s essay, which are available in the free online edition. This is because I wanted to keep the print cost down. The link is below. ~ by Sumiko Saulson on March 2, 2014.